Patriot is owned and led by three US military veterans with deep roots in many aspects of healthcare, and all employees adhere to a high standard of excellence. Our management team is impeccable, and comprised of patriots and scholars. Their leadership inspires superior performance from all of us every day. Our day to day clinical administrator is Sean Davis. He is also the Director of Therapy. Sean knows the moments, hours, days, weeks, and months of hard work that it sometimes takes to achieve full recovery. He has walked shoulder to shoulder with literally hundreds of clients during his 22 years in the field. Imagine the sheer amount of miles Sean has covered over that time. But before taking a step he graduated from college and enlisted in the military. Right out of High School, Sean served in the United States Navy at the Air Facility in Detroit. From 1989-1993, Sean earned his degree in Physical Therapy from The Ohio State University. Sean has witnessed the many dramatic changes in health care since he started. He has personally implemented new protocol as the field of in-home therapy has matured and developed. Sean has seen first hand and welcomed the expansion of oversight and regulation designed to protect our clients. Every day Sean keeps close track of the medical service domain and applies his acumen directly to our patrons. 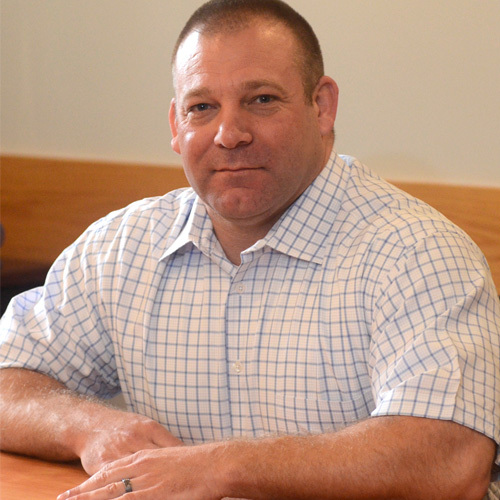 Without Sean, the day-to-day gears of the Patriot Homecare operation would grind to a halt. Because of Sean, Greg and Craig are free to do what they do best. Greg Davis is the vice president of business operations. 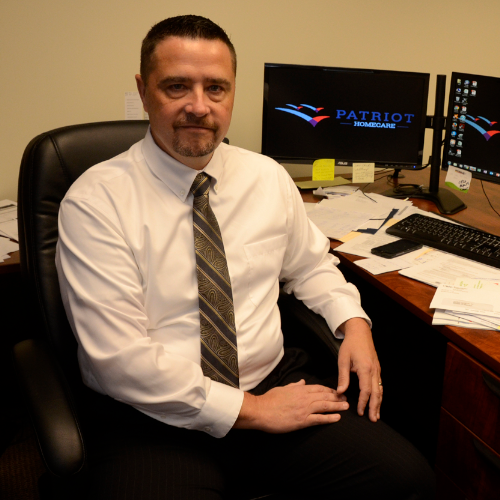 Greg concentrates primarily on the business development portion of Patriot. Based on his education and first hand knowledge, he represents our company to the community and region with authority. From 1989-1993 Greg was enlisted in the Navy and served during Desert Shield and Desert Storm. In 1997 he graduated from Youngstown State University with a Bachelor of Science in Nursing. 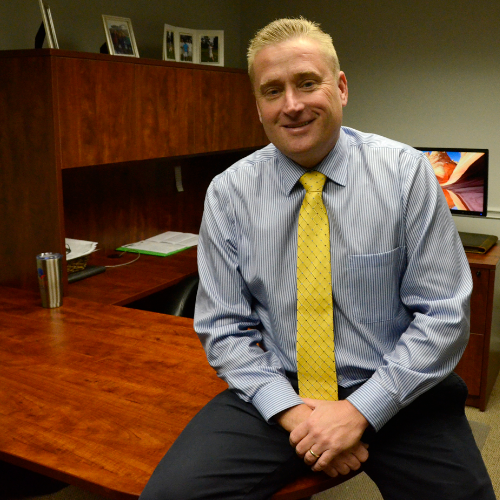 By 2000, he advanced to the position of administrator for a skilled nursing facility. He served in that capacity until 2004 when he shifted into another dimension of the industry. From 2004-2006, Greg worked as a pharmaceutical salesman. Then, for six years he sold medical devices and equipment. As an example, Greg has detailed involvement with KCI wound vacs. Because of his rounded profile as a field nurse, salesman, and administrator, Greg knows everything there is to know about how the devices function, and what it takes to get them for our clients. As a field nurse, Greg has personally applied wound vacs and cared for patients who needed them. As a sales professional, he knows how much they cost, who the competitors are, and which products are the highest quality. His tenure as an administrator means he knows how to negotiate the approval process. He is an expert at obtaining everything from surgery notes to signatures from doctors. Greg is also the one who invests his time in countless phone calls with case workers and insurance companies to procure the necessary authorizations and documentation. He is our community relations personality. While Greg Davis is our external representative, there is one more essential aspect of Patriot that takes place largely behind the scenes. Craig Colton is our president and chief executive officer. Like Sean and Greg, he is a veteran. He served in the United States Army during desert Shield and Desert Storm. In 1993 he joined the National Guard. Just two days before the terrorist attacks in New York, D.C., and Pennsylvania, Craig graduated from officer candidate school. Since then, Craig has been been combat deployed numerous times. Starting in 2004, he was sent to Kosovo. He went on to restore the area in the Gulf Coast after hurricane Katrina in 2005. He was in Iraq during 2008. Most recently, in 2011, Craig was deployed to Afghanistan. Currently he is a Major and works for the Joint Force Headquarters in Columbus, Ohio. In the meantime, Dr. Colton has hammered out an equally remarkable academic career. His specific contribution to Patriot comes from a pure scientific and scholastic background. From 1994-1998 he earned his bachelor’s degree from the Ohio State University in Biochemistry and Microbiology. He immediately followed on to graduate school in 1999. By 2006, Craig earned his PhD in Biochemistry. Not complacent, he pursued post doctoral research at Harvard to develop treatment for amyotrophic lateral sclerosis (ALS). The drug is now in clinical trials. The Davis brothers and Dr. Colton are each accomplished in different dimensions of the medical field. They constantly combine and refine their abilities to continue building a name and serving our clients, families and partners.